When planning a party for new parents one element that is often overlooked is the cake. Not just the design or flavour, but also deciding what to write on a baby shower cake. It may not seem like the most important part of your planning but the cake gets a lot of attention at any party. When done right they look fantastic, are eye catching and often central on the table. So getting your baby shower cake sayings and wording spot on is crucial. But knowing what to say can be tricky. 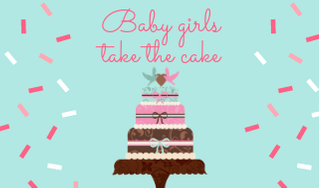 That’s why we’ve put together a definitive list of funny, cute and sweet baby shower cake sayings for any occasion. Girls, boys, twins, an adopted child – whatever you need you’ll find it here. You can personalise the sayings below with the babies or parents name and make it extra special. These cake wording ideas are perfect for either a boy or a girl and so would fit well on most cakes. Mom is ready to pop! We know you’ll be great as ma and pa! Heaven has lost an angel.. we’re waiting for it to arrive any moment! You can have a laugh and joke with the soon-to-be parents with these funny cake sayings. I’m ready for my great escape. Quick, somebody cut this cake! All it takes is one big push then life revolves around a tiny tush! 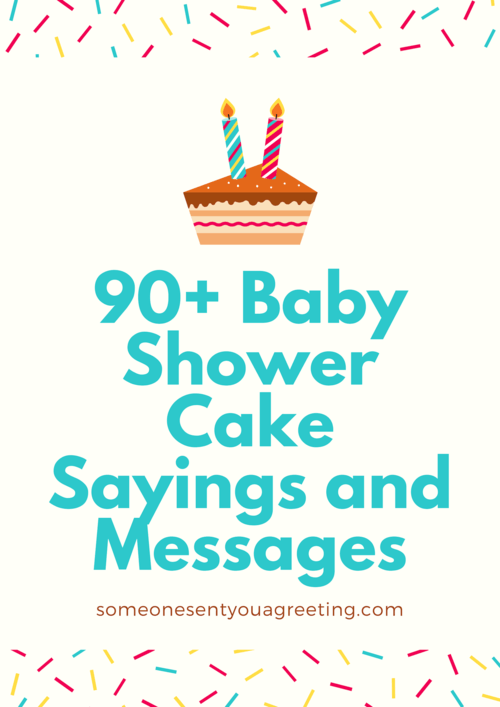 Celebrate a little baby boy with these touching and sweet shower cake messages. It’s a bouncing baby boy! Show the future parents how happy you are their having a baby girl with these shower cake sayings. Twins are an amazing blessing, so enjoy the happy news and celebrate it with these cake wording ideas. Double trouble is on its way! Double the diapers, double the pins, double the booties – you’re having twins! A gender reveal party is when the parents let everyone know what the gender of their baby is going to be. They can be a lot of fun, so if you’re planning one these sayings are ideal for the cake. He or she? We’re about to see! Tutu’s or ties, my oh my! 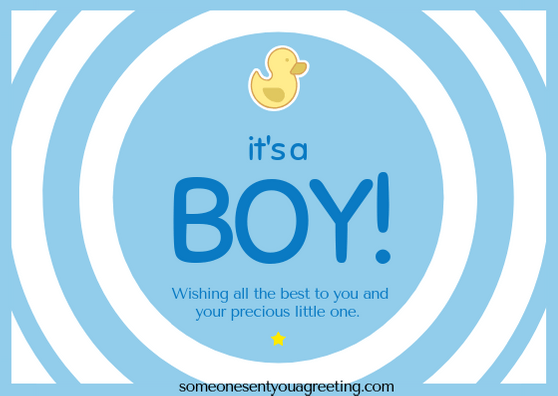 It’s a boy… or maybe a girl! If the baby is adopted then these cake sayings are just what you need. We found our missing piece. If the parents are religious then you can use one of these faith are cake sayings. He’ll soon be here for us to love, a sweet baby boy from Heaven above! Planes, trains and tonka toys, thank the Lord for little boys! God Bless Baby & you! If the baby shower has a theme then match your cake saying to that. Keep the colours and design as complimentary as you can and make your message fit with the theme if possible. Ensure you don’t make your cake message anything that could be offensive or inappropriate. If the parents aren’t religious then avoid any mention of God. And judge whether a funny saying is suitable by the type of people the baby shower is for. You will know their sense of humour best so base your decision on that. Keep it short. Longer sayings on a cake look a bit strange and have to be smaller in order to fit. This in turn will make them more difficult to read. So a simple and concise message on your cake is best. Hopefully you will have found the ideal saying for a baby shower cake from this selection. But if not then take the ideas and use them as inspiration to write your own cake saying. As long as it’s heartfelt and genuine then the mother to be will appreciate the effort and thought that had gone in to wishing her a wonderful new child.